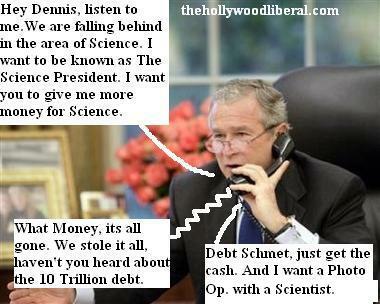 News Item:Bush asks Senate to raise science spending . This entry was posted	on Monday, July 10th, 2006 at 11:24 am	and is filed under Latest Comics, Main Blog (All Posts). You can follow any responses to this entry through the RSS 2.0 feed. Both comments and pings are currently closed. He he he he. Money for science. He he he. Live Armadillo! …ride ’em cowboy!